As a desktop or laptop home user, there’s no denying the fact that the most frustrating experience would be facing the Blue Screen of Death or more fondly known as BSOD and scratching your head wondering what’s wrong with your system. Below you will read the Review of Top Best Available Low-Cost Clone & Copy Hard Drive Backup Software for Windows operating system. To the inexperienced it would be a nightmare to troubleshoot what went wrong and even to the more senior and knowledgeable people would still be spending hours upon hours to Google out for an answer. Not to mention to undergo the trial and error process. Diagnosing the error code and looking up what it means. Is it the hardware that is giving you problems? Or did the error come from the operating system side? Don’t you wish for a solution and quick-fix to all of this? EaseUS Todo Backup Software "Home" allows you to clone hard drive or just a partition clone and recover it to the point of just moments before the system crash. Not only that, it is also very reliable and easy to use with just one click to back up the system and then to be able to restore it back to the original state. It also allows for a comprehensive differential/incremental backup to save time. Costing just $29 for a single user, 2 users for $44.95 or 3 users for $49.95, it works on all versions of Windows namely Windows XP, Windows Vista, Windows 7 as well as the brand new Windows 8 & Windows 8.1. It also supports English, Dutch, Spanish, French, Italian and Chinese language. It has the Disk Imaging feature which allows for block-level disk imaging quickly and efficiently backs up the entire disk or volumes. With File Backup, it selectively back up specific files, folders or file types. Not to mention it also allows all your emails in Microsoft Outlook 2003, 2007, 2010 and 2013 to be backed up so you won’t miss an email or its attachment ever again. Plus you can schedule for daily, weekly or a monthly backup. Having said that, use EaseUS Todo Backup Home to clone your hard drive or just do a partition clone, which is very handy especially if you are upgrading to a bigger hard disk or a brand new fast and shiny Solid State Disk. No lengthier re-installation of the operating system required, no more correct hardware drivers searching or even re-installing your favorite applications and games. 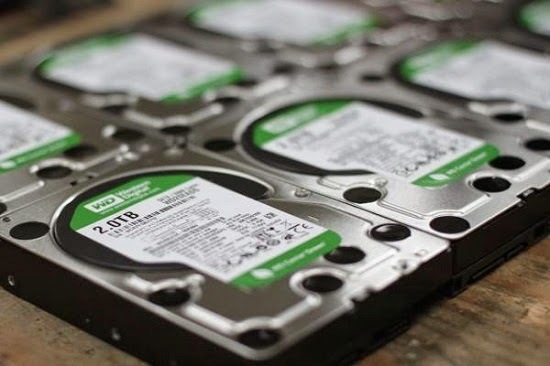 With hard drive cloning, it would just take minutes instead of hours to have your new system up and running. Or with partition cloning, choose only the important data that you would be carrying over to your new system. 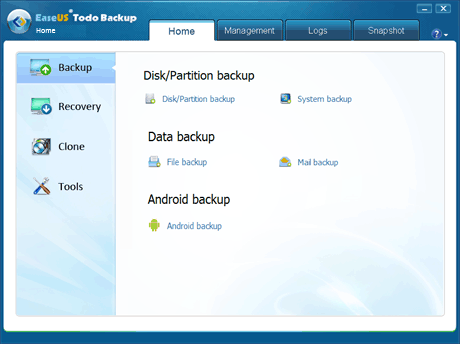 EaseUS Todo Backup Home has the system restore function to quickly recover the entire Windows system backup in minutes to the original or new location using a Linux or WinPE bootable media. It is also flexible in terms of disk restore which quickly restores only the things you need, files, folders, volumes or an entire disk image. If your system won’t boot especially after a system crash, power outage or anything like that, simply select EaseUS Todo Backup Home from your boot menu to launch the Pre-OS recovery environment and proceed with recovering the system. Tutorial and Guide on How to Copy & Clone Hard Drive Using Backup Software is available on PCMag official website. There’s also a free trial version and all you would need is a valid email address for registration purpose and the download link will be sent to your inbox immediately.